With a long, warm parka you are ready for the cold. The design is inspired by the classic outdoor jackets of the 70s, but has an updated fit and style. 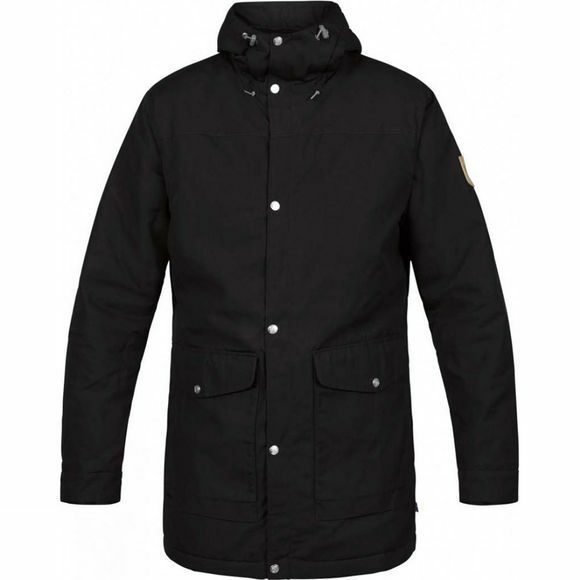 Made from durable, weather-resistant G-1000 Eco with soft teddy-fleece lining and a comfortable hood. A durable everyday companion that will willingly accompany you out into the forest and that can be waxed with Greenland Wax for extra protection against weather and wear.